Pictures by Nick Hayes for Storynory. Click to Enlarge. We begin our four part "epic" poem written in verse by Bertie for Storynory. 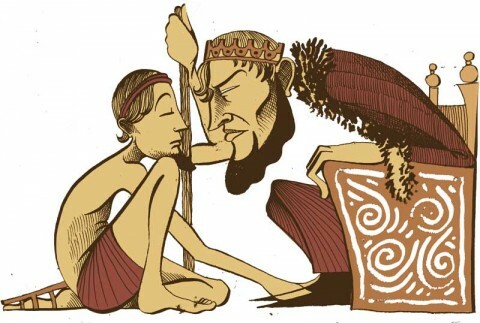 You may know this famous story by other titles including Jason and the Golden Fleece and Jason and the Argonauts. We have chosen to call it "Jason and Medea" to emphasis the parts of the hero and the heroine, who are both interesting characters. It tells the tale of how Jason sailed from Greece on a quest to the land of Colchis which is now known as Georgia (South of Russia, North of Turkey, West of Armenia, on the Black Sea). He took with him a gang of "hardened heros" including the famous strongman, Heracles, who features in Part One. 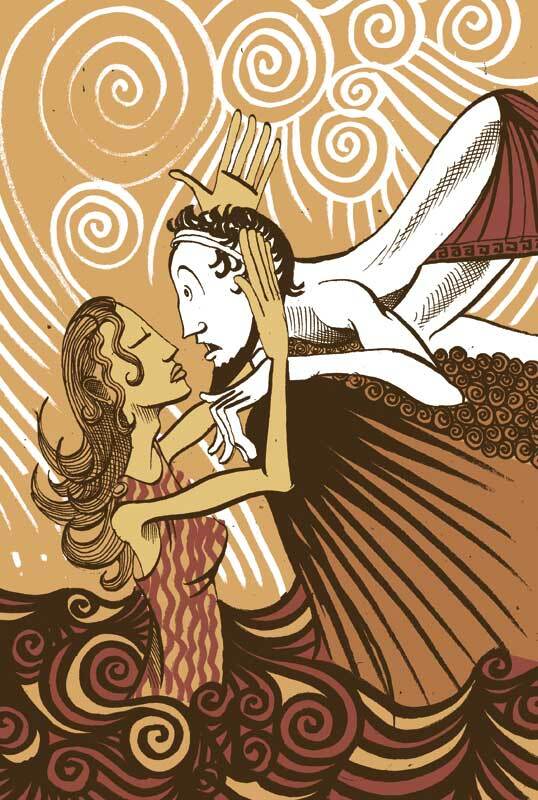 His goal was to bring back the fabulous Golden Fleece - but he must contend with fierce dragons and beautiful witches. The poem will be in four parts, and there are three songs to go with it. There are 12 specially commissioned pictures. This part and part two is beautifully narrated by Richard Scott. Parts three and four will be read by Natasha in the voice of Medea. The story if very loosely based on / inspired by The Argonautica by Apollonius of Rhodes. 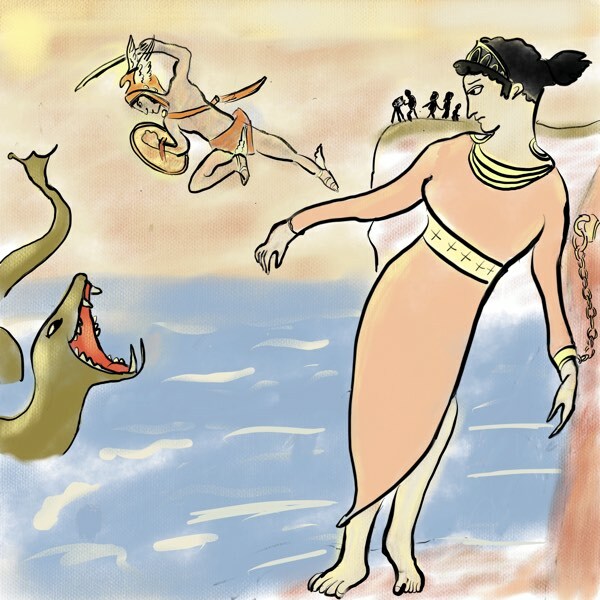 Jason and Medea, The Story of the Golden Fleece, told in verse in four parts, by Storynory. Part One : The Voyage Begins. "My Shoe", he says, "I lost. His cloak is tattered and torn. "Come in my boy, sit down, your name?" And felt that he had died. To fetch his boyhood glory." Where dragons guard the gate". But not one has ever come back." “A prince he is, supposedly. Bathed and clothed he looked better. And was quite the trend setter. To add glory to his name. The Georgian Fleece of fame. Coveted by all of Greece. Phrixos flew there from Greece on the ram. And gave it to the king. He suffered not from greed. "I am a man to manage a challenge,"
He said boldly in the court. He set to work with his saw. Like none that had sailed before. Then gathered the gang, a hero to the man. They named their ship the Argo. And the Fleece was to be their cargo. Then sat on the beach, and drank wine. A gang of hardened heroes? When the clanging fear grows?" "See here, a hero, Herakles. Now this is a man. Like a mighty entire clan." He smashes, and trashes them in. His heart, as black as sin". And fling it to the floor. She was a goddess, for sure. " To lead us across the sea." And soon they were fast afloat. And mid all sat Heracles. His one and only friend. To the end he would defend. Followed them over the surf. And his seven steeds, that galloped the seas. Strained for all they were worth. The Fleece for Greece they’ll fetch! Snap! and it was gone. My thirst could do with a sip. The ambled along light hearted. And in the woods they parted. But he did not go unseen. One, was the woodland queen. And when he reached the gushing water. He knelt down to fill his urn. And her little heart did burn. And kissed him in full wonder. But she pulled him under. And married him to his daughter. But his heart is broken in two. And Jason waits by the bulk of the boat. He waits and waits for the hulk. But he is gone. He wanders on. Now he's the incredible sulk. His oar at his side. To sail away. Or to stay. He is unable to decide. "This is no time to fret." Says the hero, "It's time to go. On the fleece our sight must set." So Jason summons all his Argonauts. He calls each man by name. To Colchis and our fame." They plough the sea wearily. On the middle bench that is empty. "It's not hard to see your mind. To leave the real hero behind." There is no reply. Only tears in his eye. Then the sea stirs deeply. The Argo rocks. The Argonauts are in shock. Now the waves rise steeply. A god has risen from the deep. his name. His tongue is a flame. The men began to weep. Do not doubt him, you must go without him. To take him with you was wrong." He was gone and all was calm. “Forgive me”, said Telamon, “for I was wrong. "Your words were cruel and hot. For gain you spoke not." And that was the first part of Jason and Medea read by me Richard Scott. In the next part I will be telling you about Jason and the Argonauts’ adventures on the way to Colchis to fetch the Golden Fleece. Later on you will hear the voice of Natasha as the Georgian princess and witch, Medea. And we have we have music by Gabriella Burnell. Also if you drop by at Storynory.com you can see the fantastic illustrations of the story by Nick Hayes. All in all this is a big production for Storynory so we do hope that you enjoy it ! Jason and Medea was written for Storynory by Bertie, very loosely following the Argonautica by Apollonius of Rodes. For now, from me, Richard, Bye. Summary: The youthful Jason arrives at the court of King Pelias wearing only one shoe. Pelias as been told that a man with one scandal will kill him. He sends Jason on an impossible quest to get the golden fleece from Colchis (modern Georgia). Jason collects a gang of heroes including Heracles and they set sail. 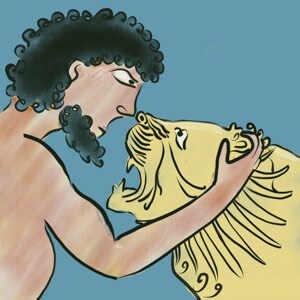 Some of the heroes think that Heracles should be the leader. They land and Heracles friend Hylas is abducted by a water nymph. Heracles wanders off in grief. One hero says that Jason is glad to lose his rival. 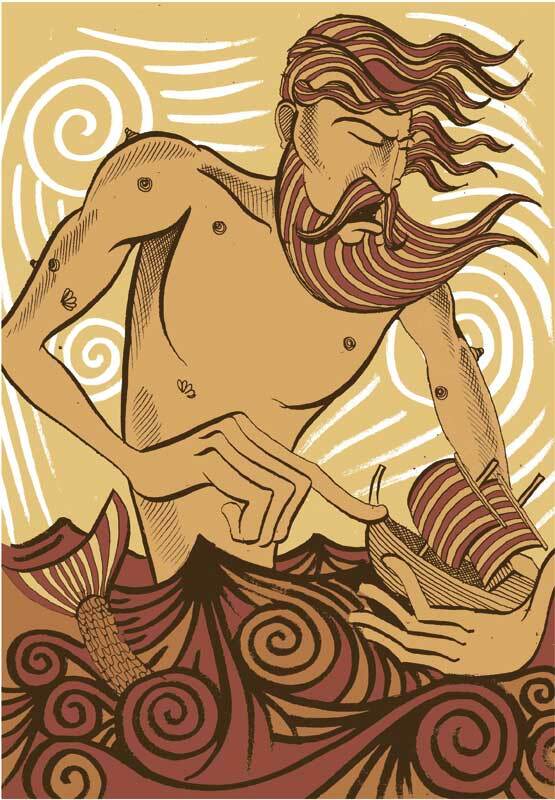 But a sea god rises out of the sea and says Heracles had to go to complete his labours. Jason forgives the insubordinate sailor. Dear Daisy – Just press the big triangle button… perhaps it isn’t clear? Could other people let us know if they can figure it out…..
update… I’ve decided to use the old player for now, just to be sure that it is working for everyone. WOW! I LOVE it! It was so creative and it was so nice to listen to. Thanks guys. I don’t understand how to download the program for my children to listen later. Could you help? nice story when’s the next one? What a wonderful performance Mr Scott. its a hard to understand. My class is doing Jason and the Argonauts for our school play! But it’s in June or July though. Thank You for the story =D =D =D ? ? ? Were do you get the stories? This is actually a really good story!! NEVER DO A 13 MINUTE BOOK AGAIN!!!!! Is it poetry? It rocks!!! this story is cool. my students at elkins mountain school love it. WHY WOULD THIS STORY B AWESOME DUMMY FACE!!!!!!!!!!!!!!!!!!!!!!!!!!!!!!!!!!!!! I love this story soooooooooooooooooooooooooooooooooooooooooooooooooooooooooooooooooo much! CAN’T WAIT TO HEAR PART 2!!! What a weird picture. Doesn’t really go whith the story. i hated it! books are good to lision to. I like it because great to lisen to.And jason was so strong. We like all greek myths like the cyclops but this was so cool!!! good thing their is part 1 and part 2 or this story would take me hours to read!!!! THIS IS BEAUTIFUL POEM.BUT I LIKE A HELP.PLEASE TELL ME HOW TO LISTEN TO IT? PLEASE. love the poem wonderful . this is really cool. i have a movie called Jason and the Argonauts that is like this. can you please write cupid and …….. This was very original I love it! 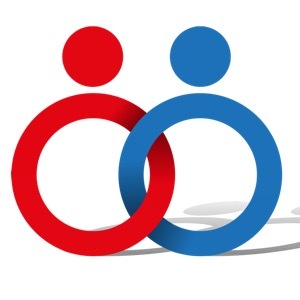 StoryNory is now one of our favorite places to get info from! this is very exciting so please go to our website Greek Myths and Greek Mythology the first website to come up! P.S. My children love to listen to these stories! Thanks Bertie! This story is really interesting! It’s fine, I read a book of it once. Awesome work you guys, Kudos to the team. Just want to point out that I have observed a lot of spelling errors, in this story and the previous couple of stories. I love it, but didn’t think it would be a poem. ? I love this story thanks!!!!!!!!!!!!!!!!!!!!!!!!!!!!!!!!!!!!!!!!!!!!!!!!!!!!!!!!!!!!!!!!!!!!!!!!!!!!!!!!!!!!!!!!!!!!!!!!!!!!!!!!!!!!!!!!!!!!!!!!!!!!!!!!!!!!!!!!!!!!!!!!!!!!!!!!!!!!!!!!!!!!! I didn’t understand any of it. I didn’t like it at all but the speaker did a good job. it is a good story. It is weird though. how did you get all of these myth stories? Cool!! When is the next one? yes this was pretty helpful i read the story instead of listening to it though. It was rather acurate and gave me some info.